In the final part of my look at how you could naturally lower your own blood pressure levels, I begin with vitamin D, then look at other supplements, and end with my bottom line. Vitamin-D deficiency is quite prevalent, estimated to occur in 30% to 50% of the general population. There is growing evidence that vitamin-D deficiency or insufficiency adversely affects the cardiovascular system. — Vitamin D and calcium dropped systolic levels from 144 to 131 mmHg. Calcium alone dropped them from 141 to 135 mmHg. Vitamin D and calcium dropped diastolic levels from 85 to 77 mmHg. Calcium alone dropped them from 83 to 76 mmHg. Overall, 81% in the vitamin D + calcium group (vs. 47% in the calcium group) showed a drop in systolic blood pressure of at least 5.0 mmHg. A vitamin D and calcium combination is more effective in lower systolic blood pressure than calcium alone. 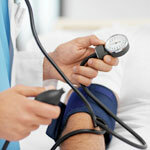 A leading expert on diet and supplements in hypertension came to a conclusion in a recent article. It was found that certain steps will help control blood pressure in 62% of people with high blood pressure over a period of six months. First, you fix any deficiencies you might have in all vitamins, biotin, folate, pantothenate, calcium, magnesium, zinc, copper, alpha lipoic acid, coenzyme Q10, cysteine, glutathione, selenium, chromium, oleic acid, choline, inositol, asparagines, glutamine, serine, and carnitine. Second, you use selected supplements and nutraceuticals, like those I’ve investigated in this article. Third, you incorporate diet, exercise and weight management. This can help as well with no longer needing to use prescription medications to reduce blood pressure.